Over time, older adults with Alzheimer’s disease lose cognitive function and their ability to communicate. This is devastating on so many levels. 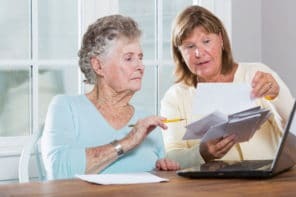 It’s also a huge source of frustration and stress for both seniors and caregivers. A study takes a new approach to communication and helps couples affected by Alzheimer’s connect in meaningful ways. Maintaining that personal bond improves quality of life for both people. In the study, couples got coaching in how to communicate. Caregivers learned to listen, to avoid arguing, and to not treat their spouse like a child. Even though this study is about couples, these findings certainly apply to other family members or close friends. Learning ways to communicate that make both people feel good is a universal need. 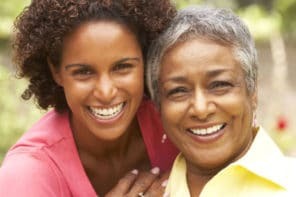 The study found 10 communication patterns that caregiving spouses used to connect with their partner and show affection. Sharing news about friends or relatives or plans for the day as a way to involve their spouse in day-to-day events. Finding alternate ways to communicate – for example, singing songs together when attempts to engage the spouse in certain topics failed.